Renters will be emailed our Burning Man address as soon as Placement gives it to us. This usually happens early in July. Once you have our address WRITE THIS DOWN! Tattoo it on the palm of your hand. It does us no good if you do not pick up your bicycle for lack of finding us. You will not get a refund. Print out your confirmation email and bring this with you when you pick up your bike. Burning Man is still a relatively analog world. Your printout will help us find your reservation quickly. Make sure Cutter@HammerAndCyclery.com is on your list of safe email addresses so our announcements do not end up in your spam folder. Also, Like us just to be sure that you get what we're puttin out. Finally, if you are renting for someone else (like a group of 30 people), please let EVERYONE know how to reach us on and off the Playa. Hammer and Cyclery will be open from 10:30am to 5:30pm daily. The rentals are only part of what we do. Your support makes it possible for us to operate a bicycle repair shop for anyone who needs it. I do want to reiterate that repairs on your bike are not included in the rental fees. Our mechanic work is our gift to all Burners (not just renters). Feel free to stop by if you have any issues and we will do what we can to get you back on the road (so to speak). We will not be bringing any spare parts, just tools, so try not to permanently damage anything. Also, we are not able to be open 24 hours a day (just from 10:30am to 5:30pm), so if you do need a wheel trued, make sure to do the damage early in the day while we are still open or find another one of the myriad grease pits on the Playa. There are other volunteer bike shops on the Playa too. Find out information about their locations at Playa Info. DO NOT ABANDON YOUR BIKE at a camp that is not open to receive it. If your ride goes missing, you will be held responsible for it. Please keep in mind that we can only receive rental returns during open hours. Plan your departure accordingly. Also remember that landmarks and street signs become increasingly hard to come by after the burn on Saturday. Give yourself a little extra time to track down our camp before you leave. Most people do recommend bringing a couple of spare tubes, at the very least, and the means to change them. Flats are the most common repair at Burning Man. We are selling spare tubes on our site and we can deliver the proper size along with your bike if you wish. Check out tubes and the rest of our accessories for sale (lights and locks) on our support page. I want to re-emphasize that we are also selling locks. Locking your bike is a must! 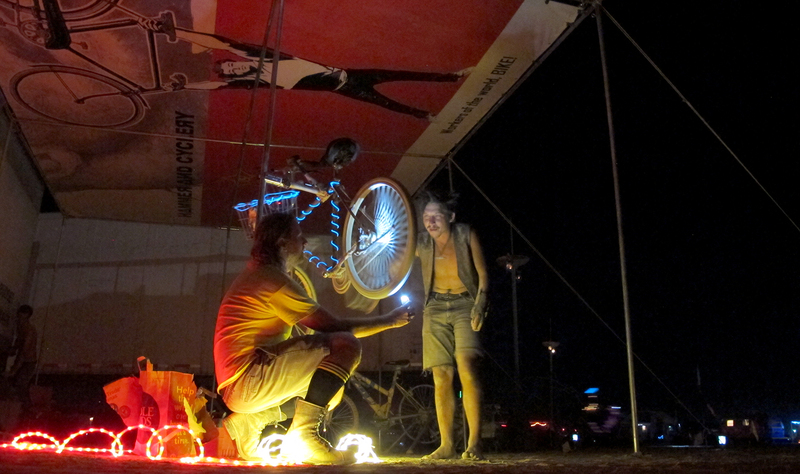 Check out our Burning Man Bicycle Survival Guide for tips on locking up your bike on the Playa. See you on the Playa! Until then, ride safe. 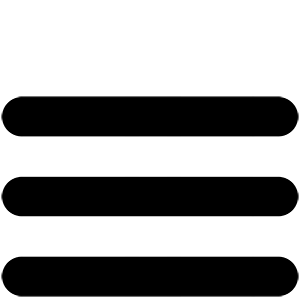 Hammer And Cyclery and Re-Cycle, Inc share no official affiliations with Burning Man or Black Rock City, LLC.